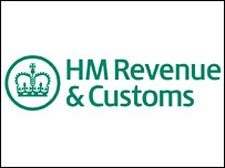 The harsh regime of the UK taxman has been underlined by the revelations that this year 1.5 million fines were dished out for late filing, and penalties on the whole have upped by 56 percent in the last five years. This has led people to further criticise HMRCs aggressive tactics, as many of the fined were forced to pay penalties even if they had a reasonable reason for late filing. A filing deadline is currently approaching with mail-filers required to do so by October 31. People who are completing their returns online have until January next year.